As an executive, you work hard to put the pieces in place to achieve your goals. Sales and profitability are always items on your list of goals. That means inbound marketing should be one of the pieces on your radar. 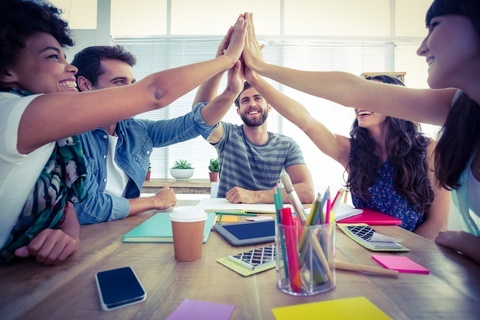 Let's take a look at the skill sets needed for inbound marketing success. It should go without saying, but you need someone with a strong understanding of inbound marketing. Their understanding has to go far beyond reciting the inbound marketing methodology. This person needs to understand things like how blog posts impact premium offers and the types of leads that will be generated based on the type of blog post. This role needs to understand the ins and outs of all of the moving parts, and why each part moves the way it does. Inbound is a marathon of compounded growth, not a sprint. If you start the process without someone that has a solid mastery of inbound marketing, you'll be waiting far too long for results, and probably give up right before it starts to work. ultimately, reaching the goals that have been set for website traffic and leads. This role is frequently reviewing reports and metrics to identify successes and failures. They are optimizing past and present efforts based on the data available to squeeze every bit of results out of each inbound tactic. They using the data at hand to make strategy decisions going forward. While inbound marketing doesn't require software beyond your website content management system, it is MUCH more effective if you have some marketing platforms in place. There are two options for inbound marketing platforms, so depending on which you go with, you need someone fluent in the platform you choose. To be clear, this role requires knowledge in all of these platforms individually as well as how they integrate together. This is the cheapest option in terms of money up front, but hands down, the least efficient and effective when it comes to managing and measuring inbound marketing performance. The next inbound marketing platform to consider is a full marketing automation platform like HubSpot. 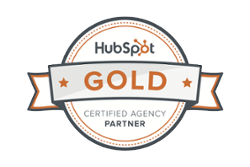 There are other marketing automation platforms on the market, but we think HubSpot is the best. There is an ongoing cost for this platform, but it takes that long list of tools needed above and integrates them into one tool set. Because they are all in one suite, the data available for optimizing your efforts is much better. They also tend to work much better and have built-in optimization tools. If you go with this route (and honestly, you really should), you will need someone that knows the platform in and out. Content is the foundation of inbound marketing. Without someone to fill the role of writer, you have NO chance for success with inbound marketing. The writing and editing role can be the same person if you have a good writer, or it can be a couple people. It's really important that the writing role be filled by someone with an understanding of inbound marketing. 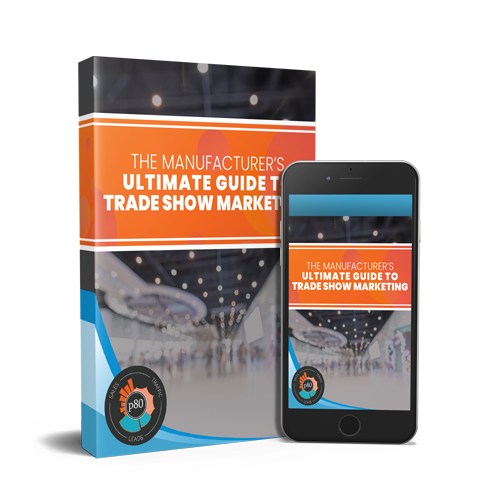 Writing promotional copy for pamphlets and sales sheets is much different from writing educational content that resonates with your buyer personas and gets them to convert into leads. Your writer needs to understand conversion paths and how to write content that drives leads. The graphic design role will be designing eBooks, calls to action, images for blogs, infographics, social media branding, and just about anything you publish online. This is often part of a hybrid role. For example, you may have a writer that is also very good at graphic design and can therefore wear both hats. The graphic design role will need proficiency with online tools like Canva, as well as the Adobe suite. Search engines and your consistently improving position in their results is a fundamental role in any successful inbound marketing strategy. Everyone knows that buyers of any product or service start with Google. It makes no difference if you're purchasing new shoes, or a new injection molding machine. You start with Google and so do your prospects. how to use search data to optimize efforts. Someone will need to fill the role of social media manager for inbound marketing success. Social media is important for distributing your content online and making connections with prospects. The person in this role will need to understand each of the social media channels (Twitter, Facebook, LinkedIn, Google+, Instagram, etc...) and be able to maximize their effectiveness. This role has to be able to determine where to invest the most time and effort in social media because not every channel is effective for every business. This role needs to be able to evaluate key metrics to replicate sucesses and avoid failures. This role also needs to be highly responsive because social media is a real-time platform. While not every inbound marketing strategy calls for pay-per-click advertising, it can be a great way to generate leads while your SEO efforts improve. In this role, the person will need to be fluent in Google Analytics and the various social media advertising platforms. Ideally, the person in this role will be Google Adwords certified, ensuring you are maximizing your precious advertising budget. The person in this role should also be able to work with your strategist to push successful content in advertising channels to maximize results. Inbound marketing is all about online lead generation. You'll need someone to take on the role of evaluating the leads that are generated from inbound through a qualification lense. This means, they will need to be able to lightly research a new contact/lead to see if they meet some of the basic requirements for doing business with your company. If they do, and the lead is in the right stage of their buyer journey (as indicated by the content they consumed), the lead needs to be passed along to a salesperson for further qualification. This role is very time-sensitive. If a website visitor converts into a consideration or decision stage lead, they should be followed up with immediately for the highest likelihood of a sale. To maximize the effectiveness of your inbound marketing efforts, you need to couple it with an inbound sales approach. This a core role for any team doing inbound marketing. Whoever is in your inbound sales role will need to understand how it differs from a traditional sales approach. The emphasis is placed heavily on the prospect's needs, not your own desire to sell them. With cold calling and other traditional sales tactics, the prospect typically hasn't expressed any interest in your offering. With inbound marketing, we often know a prospect's context and what they are researching. An inbound sales approach supports them through their buyer journey, making a close much easier. This role will need to understand how to handle leads at various stages of their buyer journey and use content to nurture them along into a sale. A sales platform, such as HubSpot's FREE CRM, is important for managing contacts, opportunities, deals, and your pipeline. You will need someone to fill the role of managing the CRM. This role is often shared with whoever is handling the inbound sales role. Whatever CRM you use, this person will need to be proficient at working in it. Someone will need to be in charge of receiving the marketing qualified leads (MQL) from marketing and determining if they are sales qualified (SQL). Through actual conversations and further research into the lead, the sales person will need to qualify them to see if they are a real opportunity. Again, this role may be shared by the same inbound sales role. One of the biggest decisions we make as leaders is whether to invest in new employees or partner with a 3rd party to produce the needed result. At the end of the day, we need the result. We want the most efficient and effective means of achieving it. Now, you have to decide if you want to invest in employees that have the skill sets needed to reach your goals, or partner with a 3rd party. To help you decide, check out this guide on hiring the employee that never sleeps!